Mexican traffic police is turning to a women-only policy, because they regard women as less corrupt than men. Five years ago, authorities got rid of every man and decided only women should do the job. As part of the BBC’s 100 Women season, we spoke to Transit Police officer Judith Morales Garduno and her colleague Rosa Baeza Pena about fines, bribes, and women on duty. See the full story with Katy Watson here. Mexico City has held its first Day of the Dead parade, which tourism officials say was inspired by the opening scenes in last year’s James Bond film, Spectre, which was filmed there. It’s a very undesirable distinction, but Mexico ranks among the worst 20 countries in the world for violence against women. On average six women die a violent death in the country every day. But there has been a growing backlash against that treatment recently, with women taking to the streets to make their voices heard. The BBC’s Katy Watson reports from Mexico on the effort to bring much needed change to a culture where machismo has long held sway. Filming, editing and producing for the BBC with Katy Watson. Six families get the chance to hug as the US-Mexico border in California opens for 20 minutes. Katy Watson follows one family’s journey. Concerns about foetal damage from the Zika virus has prompted some Latin America governments to ask women to put off getting pregnant until more is known about it. 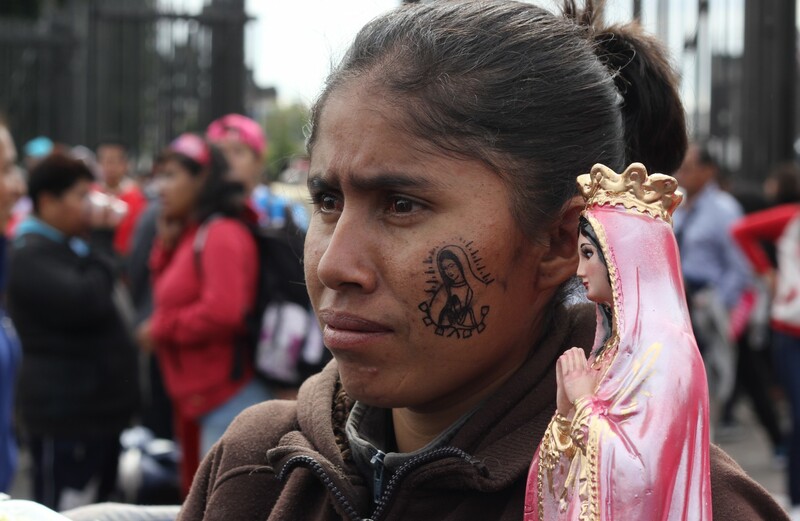 But in El Salvador, as in much of Central America, where abortion is illegal and contraception not widely available, the advice can be difficult to follow. Katy Watson reports from El Salvador.